All girls have been jealous. All girls have had a crush. Some girls have fallen in love. Well, I'm one of those girls who have fallen in love ... and I fell hard. His name was Zack. I had known him since kindergarten. He was perfect to me - good personality, funny, kind, and outgoing. What else could I ask for? At the end of sixth grade I developed a huge crush on Zack, and through seventh grade my crush on him stuck with me. One day I finally had the courage to ask him out. I found out that Zack liked me too and we hit it off. But after three months of dating I decided it was time to dump Zack since I thought I didn't like him anymore. I regret it. A year later and eighth grade. Zack was in my class and the whole summer before eighth grade all I did was think about him. Every time Zack came up to me my heart would beat super fast and I would get really nervous. I thought to myself, Do I like him or something? I couldn't though ... Why did I dump him then? That thought kept running through my mind. I didn't want to like Zack again. I knew he didn't like me anymore and I feared rejection. Eighth grade was coming to an end, and I felt I had changed throughout that entire school year. I was jealous of all the girls Zack liked.. I wanted him to be mine so bad. 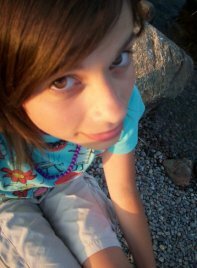 Summer of ' 08 was my worst summer ever. I cried over Zack. I had fallen in love with him. Zack got a new girlfriend, and I didn't know what to do. I thought the only thing I could do was to tell him how I felt so I didn't feel so bad. I gathered up my courage that I had hidden forever and told him everything, right from the beginning. I asked him if we could ever date again. He gave me an answer that changed me. "Well ... I just couldn't see us being girlfriend and boyfriend, and doing all the stuff boyfriends and girlfriends do together." His answer hit me like a ton of bricks, but I totally understood.